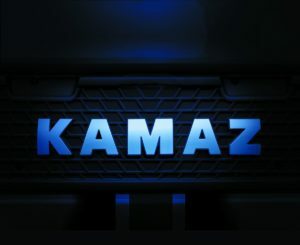 The traditional two-day technical conference was held at KAMAZ, which was attended by managers and quality experts from manufacturers of special equipment on the KAMAZ chassis. The conference was opened by the Director of Quality of KAMAZ PJSC Anton Saraykin. Welcoming the participants of the event, he noted the importance of the annual dialogue of the parties to improve the quality of products. The central place in the program of the first day was taken by the report of the deputy director of the quality department Alexander Abramenko “The main directions of development of the Quality Management System of KAMAZ PJSC for 2019”. Also, topical issues of quality were touched in their speeches by representatives of KAMAZ plants and divisions, covering all major areas from production to delivery and paying particular attention to the quality of the chassis and power units. In particular, Viktor Loskutov, Deputy Director of the Press-Frame Plant for Technical Control, told about events aimed at improving the quality of paint coatings on KAMAZ chassis. In turn, the important issues were identified by representatives of partnering organizations. Among them are those who have long-term cooperation with KAMAZ: Galichsky and Klintsy crane plants, Krasnogorsk plant of caravans and others. On the second day the conference participants visited the automobile, press-frame plants and the engine plant, where they saw the changes that had occurred at the KAMAZ production sites over the past year. All voiced problems are reflected in the final protocol of the conference. In the near future, action plans will be developed for each of the areas. So, for example, it was decided to pay special attention to the stages of delivery and transferring of KAMAZ vehicles, analysis of technical processes during installation of special superstructures and other issues. Participants of the technical conference agreed to evaluate the effectiveness of the event in a year. 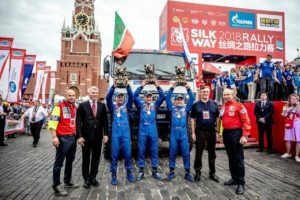 The international “Silk Way Rally 2019. Russia-Mongolia-China” rally-marathon starts on July 6 in Irkutsk. This year KAMAZ-master team will be represented at the international race by crews of Andrey Karginov, Anton Shibalov, Ayrat Mardeev and Sergey Kupriyanov. In addition, the traditional Russian-Chinese crew will perform on KAMAZ sports truck, its members will be announced later. The preparation of the team for the July start of the Silk Way Rally is already in its full swing. It includes the introduction and debugging of new technical solutions, crews training, including testing new candidates for the position of navigators and mechanics. In addition, it is planned to participate in a number of competitions, the first of which in the new season will be the stage of the Russian Championship “Gold of Kagan”, which will be held in late April in Astrakhan. On April 5, at the Government House of the republic, Tatarstan Prime Minister Aleksey Pesoshin held a meeting on the preparation of the celebration of the 50th anniversary of Kama Automobile Plants Complex. The meeting participants discussed the plan of holding events dedicated to the anniversary date. In particular, this year, a number of projects are planned to be implemented in Naberezhnye Chelny, including the development of social, municipal and road infrastructure. A complex of corporate events at the KAMAZ Automaker is also planned: book publishing, honoring veterans, etc. On April 10, 2019, Deputy Prime Minister of Russia Dmitry Kozak plans to visit Naberezhnye Chelny. During the visit, a meeting of the organizing committee of the preparation and holding of the celebration of the 50th anniversary of the plant is expected.